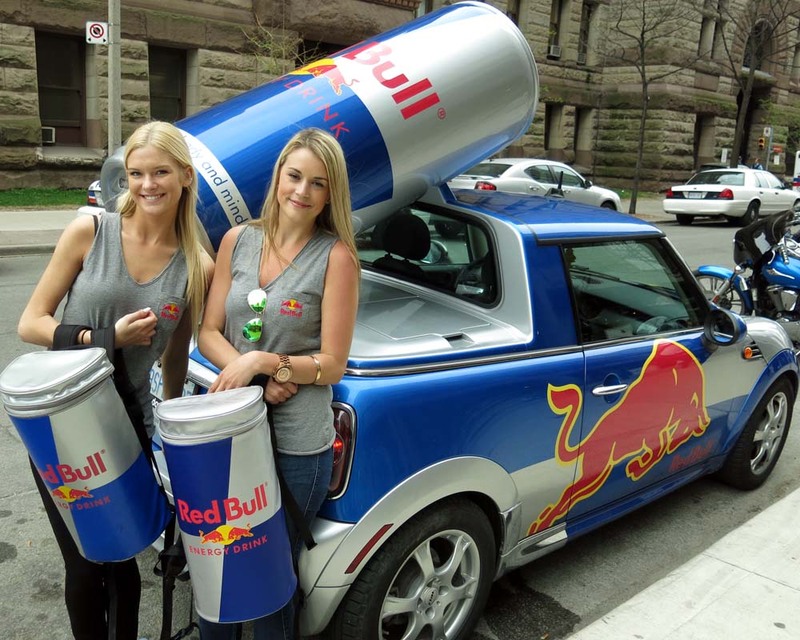 The @RedBullCanada Girls are off the ski slopes and back in town providing free samples of their famous energy drinks. 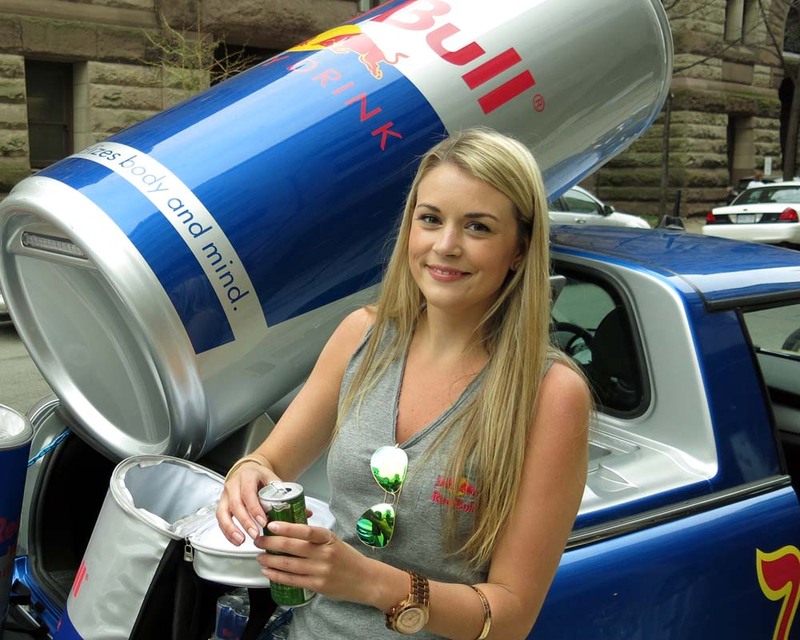 I spotted the girls and their blue and silver Mini car with the gigantic Red Bull can on top, adjacent to the Toronto Eaton Centre and picked up a cold can of the Lime Edition beverage. “Visualizes body and mind” is the tagline on the can, but the campaign is it “gives you wings”. In the big smoke you hope that the wings don’t turn people into pigeons, cause we have a few too many of those. Not only does this company give out free samples it also sponsors a lot of sports and lifestyle events, teams and individuals. They have ties to racing, running and even skydiving from the edge of space! The Canadian Headquarters of Red Bull is on Queen Street West were you can sometimes find a fleet of the easily identifiable vehicles (http://www.torontograndprixtourist.com/2010/12/red-bull-graveyard.html).